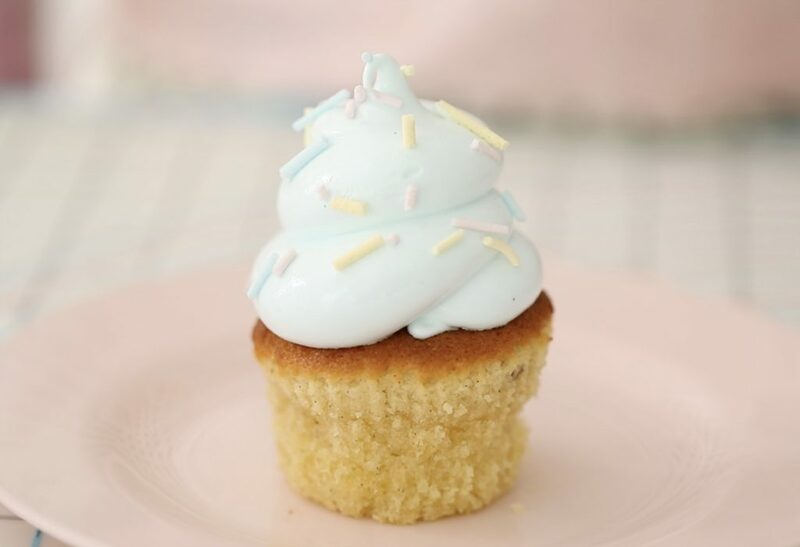 I love to use sprinkles when I decorate my cakes or cupcakes but where I live; it is hard to get pastel sprinkles in soft colors. 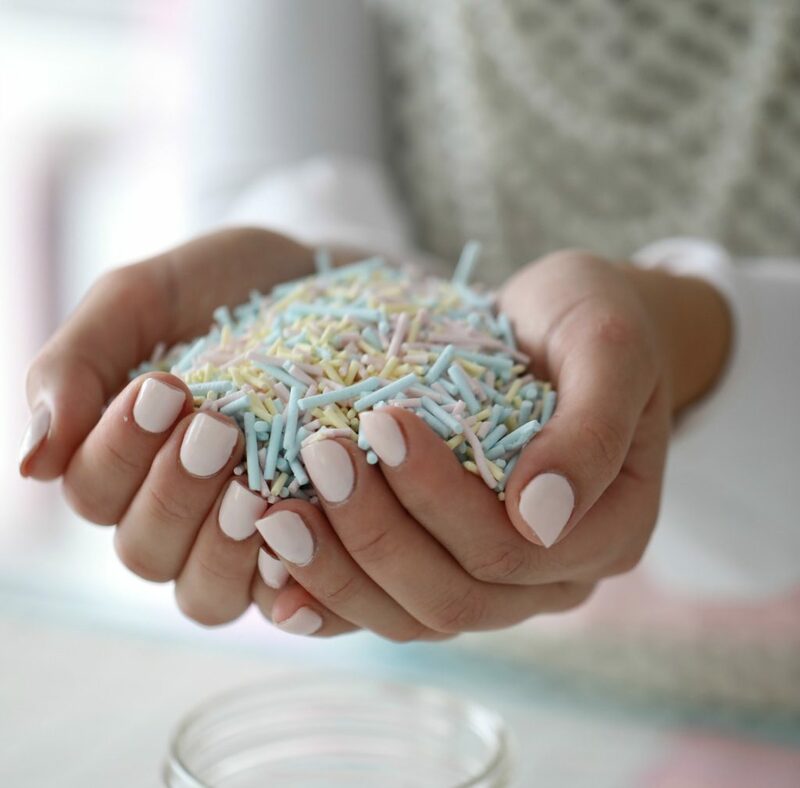 You have probably seen beautiful jars of sprinkles mix from sweetpolita.com on Instagram. 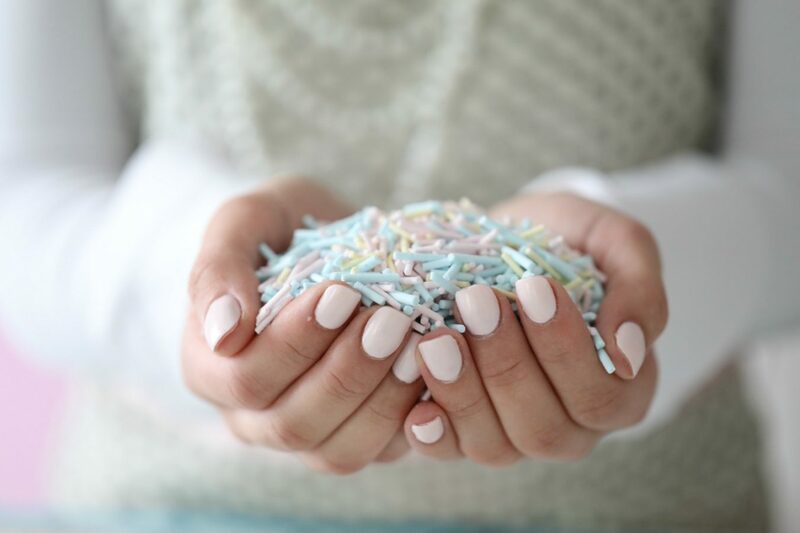 Rosie came up with the idea of jars filled with beautiful colorful sprinkle mixes. But ordering sprinkles from Canada to Europe cost way to much. 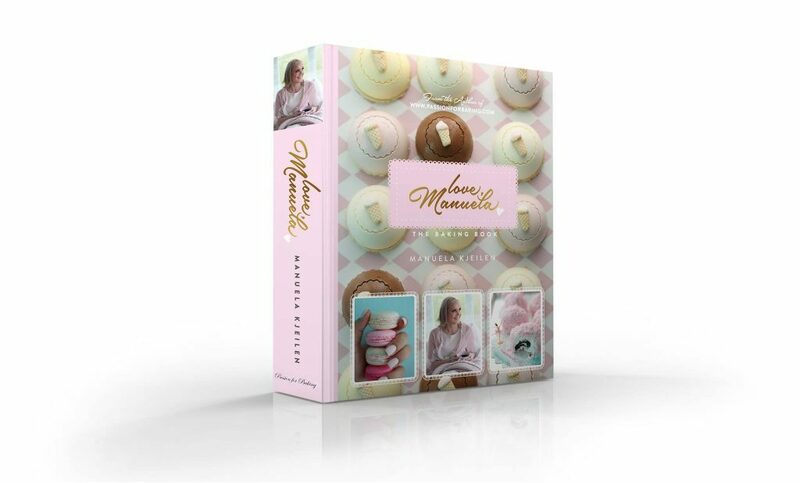 Luckily, Rosie shared the recipe for Royal Icing in her book, and use this for making homemade sprinkles. It´s so easy and so much fun to make it yourself. 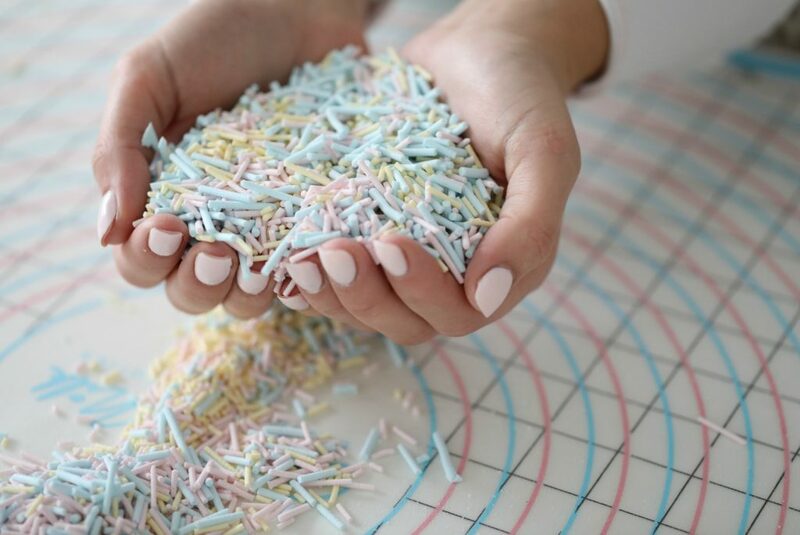 Watch the video below to see how to make these homemade sprinkles. In a clean bowl, of an electric mixer, add the powdered sugar, meringue powder, water, lemon juice and vanilla bean paste. Beat until very thick about 15 minutes. Divide the mixture into three bowls and add the color of your choice. Fill the piping bag and press any air pockets out of the icing. On a silicon matt, or a wax paper/parchment paper pipe long, thin line of icing. Let the icing strips dry until the next day. 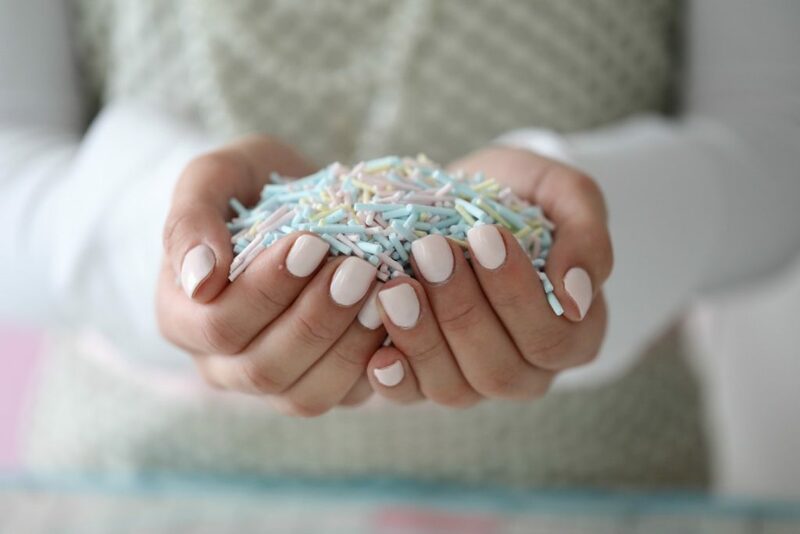 With your beautiful hands just roll the strips back and forward, and you will have your pastel sprinkles. So you can get meringue powder in Norway? This surprises me. How long can they be stored for? 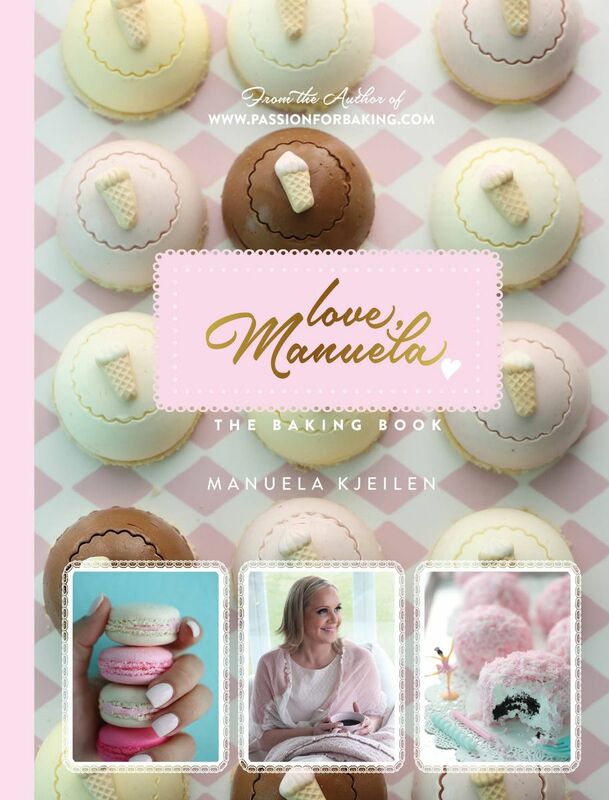 hi manuela! i love your blog! you’re very talented! Skulle gjerne ha hat denne oppskrifta på norsk, da engelsken min ikke er så god. Men så genialt da ???? Your blog rocks❣️ Is it at all possible to use normal eggs whites instead of meringue powder?